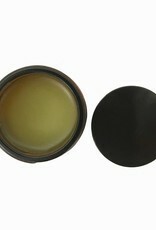 This face balm is made in a traditional way in line with Grandma's recipe, but with a 'modern' twist. A 100% natural balm made from the best natural ingredients such as cold-pressed olive oil, coconut oil, avocado oil, vitamin E, beeswax and pure essential lavender and rosemary oil. The combination of these ingredients ensure that the cream softens, hydrates, protects and restores the skin. 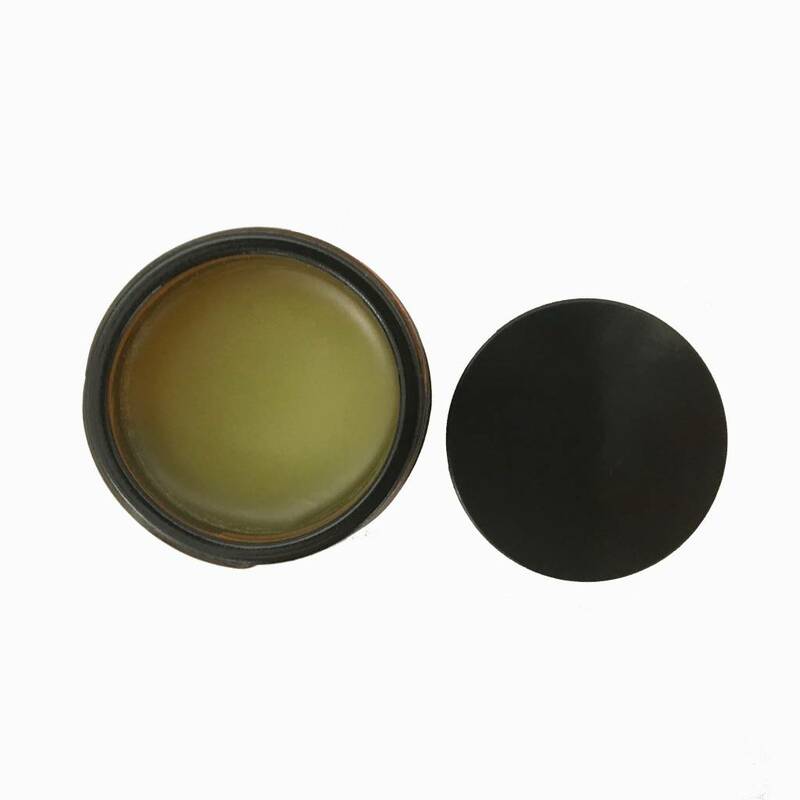 The face balm absorbs fairly quick, but is quite oily. Face Balm It's All I Have To Bring Today is suitable for all skin types. Because the balm is quite thick, it is best to use in the evening before going to sleep. Massage the balm into your face and décolleté and let the nourishing and healing ingredients do their work whilst you are sleeping. Wake up with a soft and nourished skin! Of course, the balm can also be used during the day instead of a day cream. 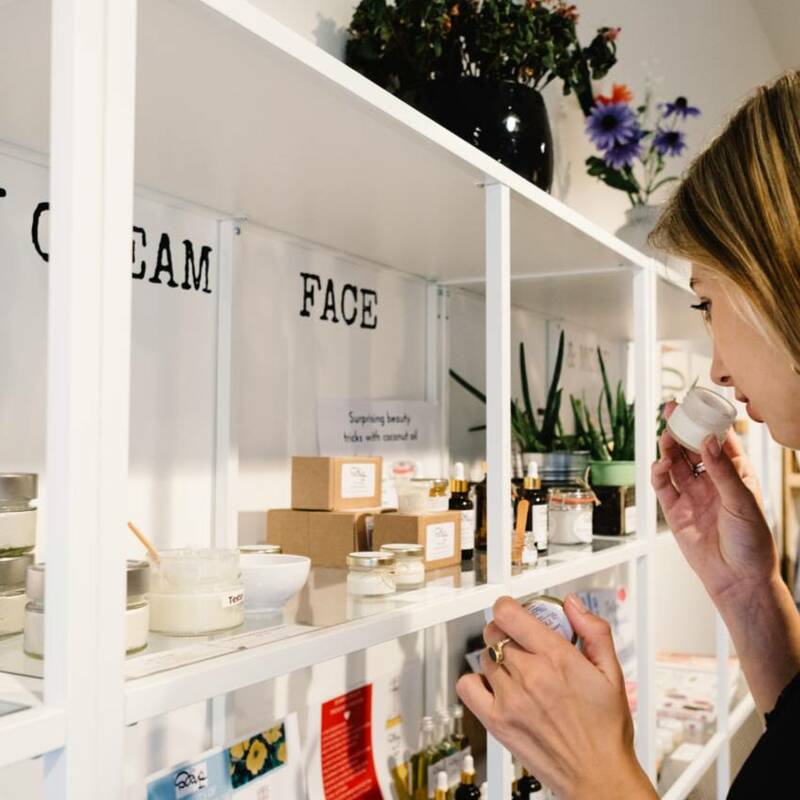 If you prefer a cream that absorbs faster and feels less greasy, but is also suitable for all skin types, check out our Organic Day and Night Cream. Packaging: brown glass jar. Content 60 ml. 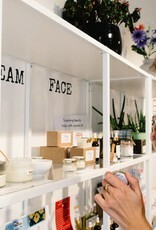 The natural face balm is made fresh for you and can be kept for 9 months after opening. Olive oil has the ability to attract moisture into the skin and therefore is very hydrating. Coconut oil contains vitamin E, has an antibacterial effect and is also quickly absorbed by the skin. Avocado oil is known for the ability to feed the skin without leaving a greasy feel to it. The moisturizing and revitalizing properties of avocado oil work super well for the very dry, sensitive or inflamed skin. In addition, vitamin E has been added to the face balm. This ensures that the cell damage that can occur through sunlight is being limited (we recommend to still use sunscreen!). Vitamin E also ensures that the other active ingredients in the face balm can penetrate deeper into your skin to do their job well. The addition of a little bit of essential lavender and rosemary oil make the face balm smell wonderful. In addition, lavender oil helps to repair wounds and inflammation and rosemary oil has an invigorating and stimulating effect. Extra Virgin Olive oil cold-pressed (Olea europaea fruit oil), Organic coconut oil cold-pressed (Cocos Nucifera oil), Avocado oil cold-pressed (Persia Gratissima), beeswax (Cera Alba), Natural Vitamin E Oil (D-Mixed Tocopherols Concentrate), Rosemary oil (rosmarinus) officinalis oil), Lavender oil (Lavandula angustifolia Oil). Mijn 1e gezichtscreme van DIY Soap. De eigenaresse weet op basis van jouw huidtype en haar kennis de juiste creme te adviseren! 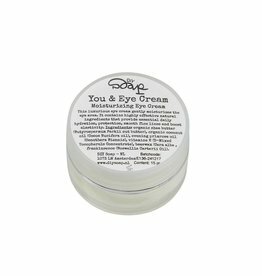 You & Eye Cream is an intensely nourishing and restorative eye cream that's especially suitable for people who suffer from dry skin around the eyes.